Ensure that paid banners are only served to human, and identified users, guaranteeing 100% advertiser satisfaction. Every advertiser today has tracking pixels embedded in their banners and most are demanding high viewability and low non-human or invalid traffic (IVT) numbers. Too many publishers are stuck over-delivering impressions just to make up for impressions that the advertiser's measurement team has decided are non-human. 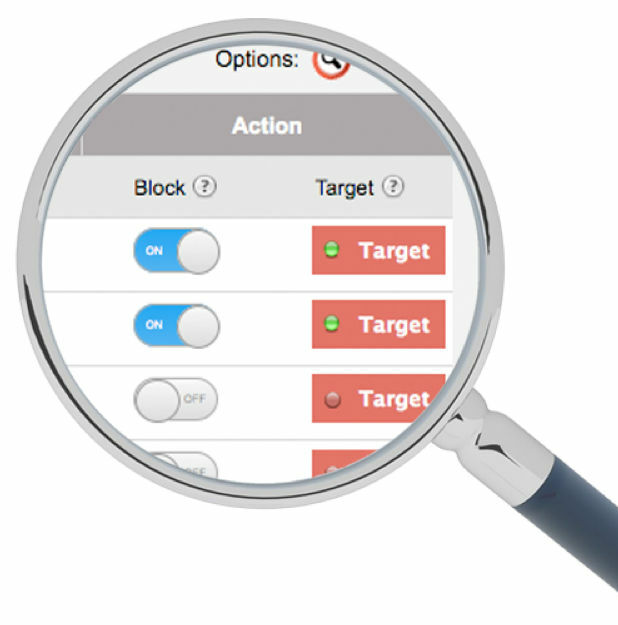 First, ONEcount allows you to only target identified, "known" site visitors with banners. This guarantees that no bots or spiders are served paid banners and interstitials. If you can effectively target an advertiser's message to visitors who can and will buy the advertiser's product, you're not serving ads to irrelevant web site visitors, or non-human visitors. Second, ONEcount's integrated Invalid Traffic Targeting Engine allows you to target house ads and other non-paid creative at traffic that ONEcount determines is probably not human. This means creating a banner campaign of non-paid banners, and then "targeting" those banners at traffic that ONEcount determines is IVT. 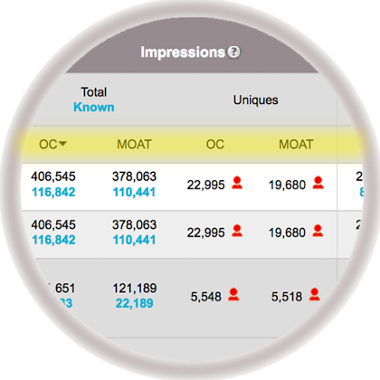 ONEcount collects viewability metrics from vendors, like MOAT. Raw data is absorbed and reported in a side-by-side integrated dashboard, laying in the “who” providing identity insights satisfying advertisers viewability demands. Most clients report a reduction in their invalid traffic after 3 days, by simply using ONEcount. Enjoy the result of near zero invalid traffic reported by advertisers following implementation. One client reported a 50% reduction in IVT numbers in one day. Create a subscription funnel that drives revenue to your bottom line. Combine subscriber and member data along with all the other important user data in a single platform. Level the playing field by giving you the same set of highly-integrated tools that the Goliath's use-at a fraction of the price. Optimize campaign targeting to get higher response rates. Target specific audiences that advertisers are trying to reach. When users are identified on one channel, profile data can be activated across all other channels. An affordable & effective solution for media companies and publishers of all sizes.